Hair-raising accident. (Yes, I really did say that.) 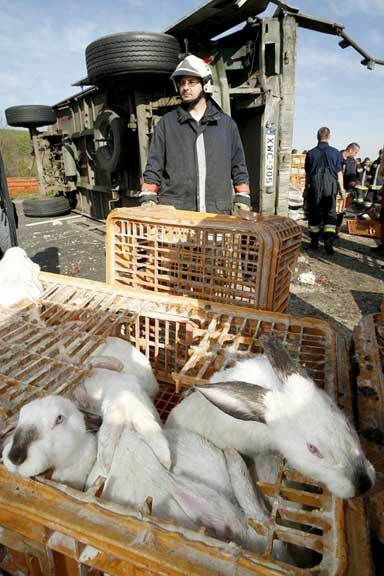 On April 16, 2007 a truck carrying 5,000 bunnies to a slaughterhouse overturned in Hungary. 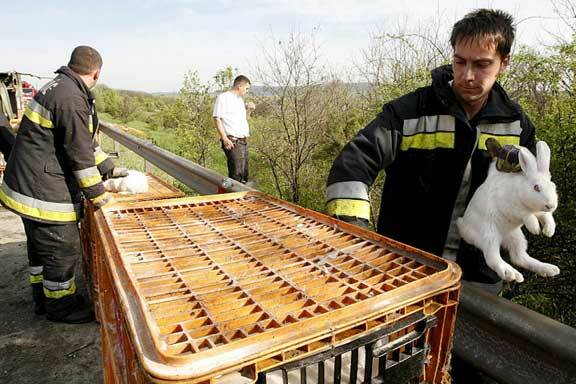 The accident closed the main highway between the capitals of Hungary and Austria for hours. The vehicle carrying the bunnies was struck by another truck when that driver fell asleep. Most of the rabbits were hopping around the freeway, but some stayed in their broken cages. 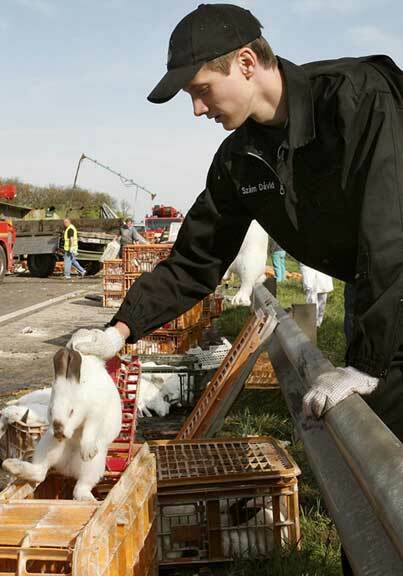 Unfortunately, about 500 rabbits were killed (in the accident, the rest were killed later). The good news is that about 100 bunnies hopped away and were not captured.